Yellow includes a range of hues, from butter to gold, from cream to tan. Many gentlemen shy away from this color because they're not accustomed to wearing it, but if worn well, it can contribute to a stunning ensemble. Make sure the intensity of the yellow matches the intensity of the color it's paired with. A rich gold works well with charcoal gray or navy blue, while pastel yellows work best with lighter coordinating colors, such as silver or sky blue. You may decide to choose yellows appropriate for each of the seasons: spring calls for pastels; summer embodies vivid tones; fall yellows are more amber or golden and can be paired with browns or a rich tan; winter attire can be refreshed by pure yellows paired with black, white, or burgundy. 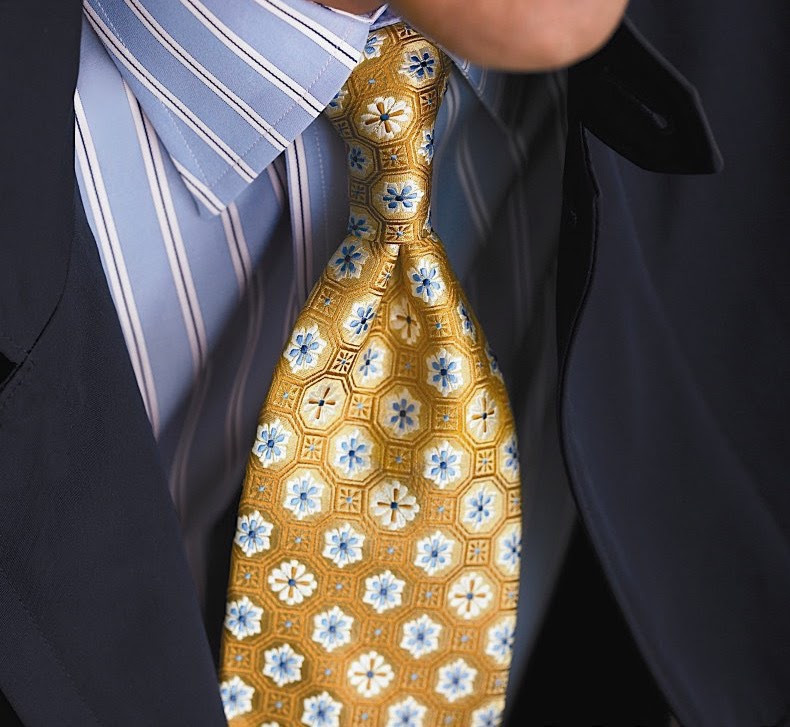 If you are unsure how to incorporate yellow into your wardrobe, start with a yellow tie-it's the perfect way to try this color out without a large commitment. Or, you may want to start with a shirt that incorporates a stripe of yellow into your customary color palette.